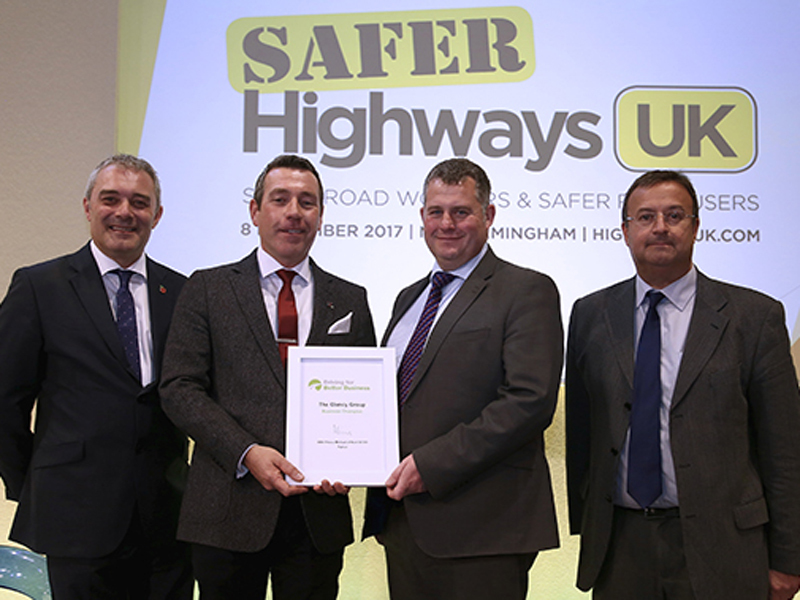 Clancy Group, parent company of contractor Clancy Docwra, has become the latest Business Champion for the Driving for Better Business Campaign in recognition of its work to drive down collisions and improve costs. The national construction group runs nearly 500 company cars and 98 grey fleet vehicles as well as more than 1,400 LCVs and 158 HGVs, and driven by Colin Knight, head of fleet safety management & compliance at The Clancy Group, has acheived a 20% reduction in own-fault claims and a 20% improvement in driver scoring, with additional reductions in damage costs and fuel use. A key factor in the group’s work has been the deployment of a systematic, methodical and professional approach to managing its road risk by ensuring it implements data-driven driver safety interventions, backed up by a third-party online driver risk management system as well as drug and alcohol screening for all new drivers and D&A tests after road traffic collisions. The group has also fitted forward-facing cameras in company cars and a selection of commercial vehicles while telematics/black box technology is fitted to every company owned vehicle within the fleet. And it has employed a full time Fleet Safety Data Performance Analyst, who collects, collates and distributes data from all of the systems allowing the Fleet Safety Management & Compliance team to create data driven performance improvement KPI’s and training interventions to the wider business. All measures have been fully backed by the board.